Themed cocktails, free pizza and all the music you can handle are on offer later this month. What's the one thing better than a pop punk party? 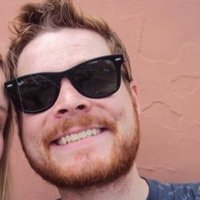 How about a Disney-themed pop punk party? Sounds pretty great right? Well, the geniuses over at Manchester club night Pop Bubble Rock have put together the ultimate night, marrying together the best of pop punk with all your fave Disney moments. Oh, and free pizza! Disney-themed cocktails, a bouncy castle, cosplay competition and Disney karaoke will also be on offer while you bop to the like of Paramore, Blink, MCR and Panic! "What would a Disney night be without dressing up? Probably just a standard night. So lets make this magical! Come dressed as Ariel, Sebastian the crab, Beast, Mrs Potts, Pocahontas or whoever you can think about...Special cocktail potions will remain a closely guarded secret until the night but expect candyfloss, pop rocks, smoke and a bit of a magic!." 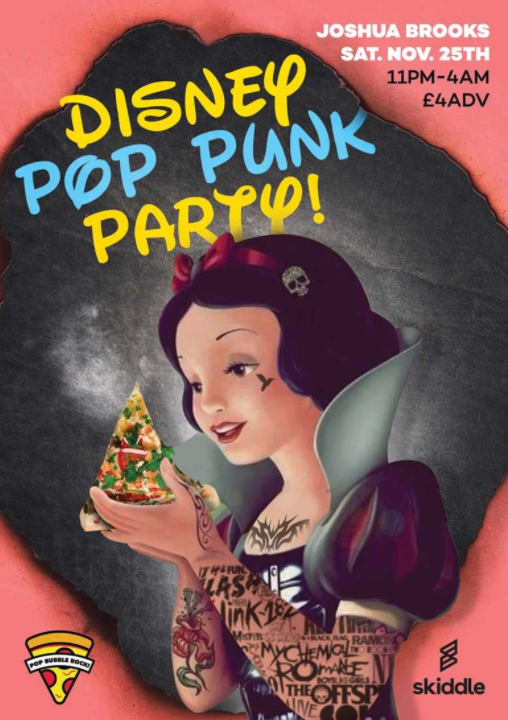 The Disney Pop Punk Party will be taking place at Joshua Brooks in Manchester on Saturday, the 25th of November. In the meantime, let's all turn this banger up shall we?